Amazon’s highly anticipated Top Gear-like The Grand Tour debuts November 18th, and it’s exclusively available to Amazon Prime customers via the Amazon Video service. In order to celebrate the event and to entice customers to become Prime members, Amazon has reduced the cost of a year’s membership by $20, making it $79 rather than the normal $99. 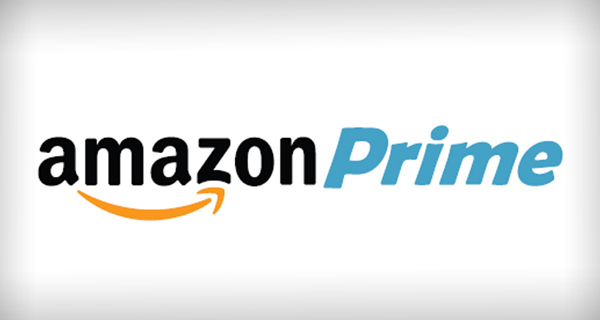 Prime Now subscribers not only gain free access to Amazon’s Video, Music, Photos and digital books services, but also receive free or discounted shipping on products ordered from the company’s web stores. 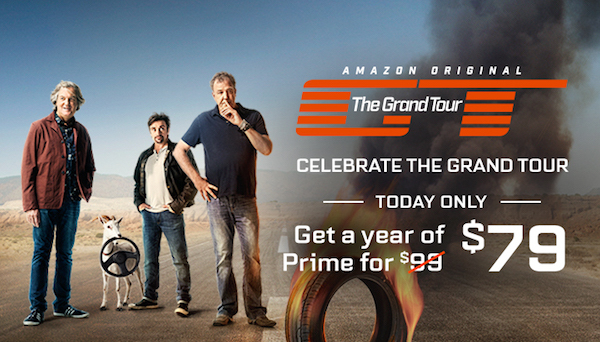 That alone is worth the price of admission for many people, and while we suspect a relatively small percentage of Prime subscribers take advantage of the other benefits they receive, Amazon is hoping that shows like The Grand Tour will pull people into Amazon Prime Video. For those unfamiliar with The Grand Tour, the show follows Jeremy Clarkson, Richard Hammond and James May as they ‘review’ cars and fly around the world getting themselves into mischief whilst they do so. The show is based on the BBC hit Top Gear, which also saw the same three presenters do pretty much the same thing. That is, until Clarkson was fired for punching a member of the crew during an argument over the standard of catering during a shoot. Both May and Hammond walked when their contracts were up, and all three pitched their tent at Amazon. With the likes of Netflix said to have been sniffing around the trio, Amazon pulled off something of a coup getting The Grand Tour together. At a supposed cost of $250m though, the whole thing is a gamble that Amazon cannot afford to lose. If you are not already a Prime member, sign up today between November 18 at 00:00 (ET) through to 23:59 (PT) that same day in order to take advantage of the discounted price. It may just be worth it for Clarkson, May and Hammond alone.